insurance of Bulgarian investments abroad. 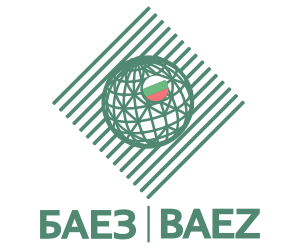 BAEZ has also developed schemes that facilitate the financing of the activities of the Bulgarian companies together with the above-mentioned types of insurance products. To guarantee the security of the claims. offer their customers more favorable terms and prices in commercial transactions. But the deferral of the payment is also associated with a higher risk for the vendor. in general, reduce the risk of doing business, minimizing their risk of non-payment. BAEZ carries out activities under two basic legal acts – the Insurance Code and the Export Insurance Act. The Export Insurance Act (last amended SG 82 / 16.10.2009) is specifically designed to regulate the principles of this activity in Bulgaria. Under this law BAEZ carries out the state policy in the field of export insurance, covering non-market risks in its own name and at the expense of the state. According to the Insurance Code, BAEZ undertakes insurance against market risks at its own expense. The main criterion for which the insurance will be concluded is the state of eventual realization of the risk, as well as the period of deferment of the due payment, which is subject to insurance.